Center gua – Normally I start the monthly outlook with the southeast but the Center gua really sets the overall tone for the month for everyone in your home and the overall theme for the planet so today we’ll start here. The ‘theme’ this month is scholastic achievement and career growth. This is an area of your home that is good for having your children do homework (assuming they’re still in school this month) and is good for those of you who write for a living. Be sure to put your Flying Star activation here to bring as much support to this area as possible because you’ll maximize the benefits you recieve. 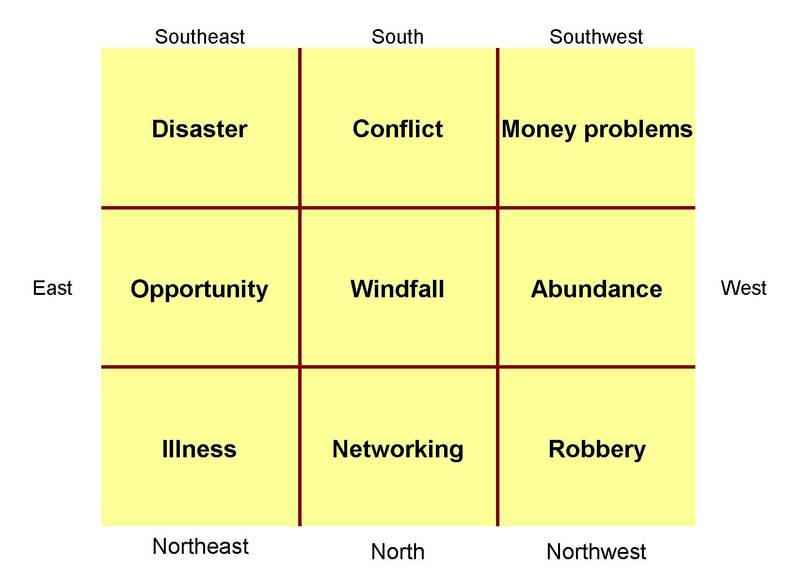 Southeast – In feng shui, the SE represents money, wealth, banking and finance. This month there is a double Disaster Star sitting here. The Disaster Star can bring about two different scenarios with the first being an actual disaster. Given the state of the Greek political system and economy in combination with where the double Disaster Star sits this month the odds of Greece exiting the euro are much higher this month. In fact, the contagion could spread to other struggling countries like Spain. 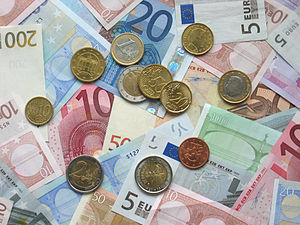 This Star can also bring problems for the banking and finance industry in general all around the world. The other way this Star can work is that it brings about big changes which can indicate a big last minute concession on the part of the Germans and other heads of the EU in terms of trying to keep Greece in the euro mix. In either scenario, the changes won’t be easy and things will appear to get worse before they get better. South – Retail sales, fashion and the entertainment business may see revenue weakness due to the Stars that sit here this month. As a consumer, you may be able to find some good bargains if you like shopping or you need to shop for something. Southwest – This is the area of partnerships and marriage and the Star combination can bring loss of money. If you’re in a business partnership you may find your company doesn’t make as much money this month as usual or that your expenses are higher than normal for some reason. If you’re married or in a committed relationship you may find that your joint finances don’t quite cover the bills due to an increase in expenses and/or a decrease in income or commissions you’re used to getting. This is not a month to enter into a business partnership as the chances for financial loss are high. If you’re getting married this month the final bill is likely to be higher than you anticipated and/or budgeted for. East – This is a tough month for families because the Flying Stars are not very supportive and can bring stress, particularly to marriages and children. Since the East represents family in feng shui, this energy will be even stronger this month than usual. This is a good month to take a vacation and relax because this will help relieve this energy. West – This is the direction of children and the Stars here bring challenging energy for children this month. If you’re a parent or work with children keep this in mind and practice using your listening skills and patience even more than usual now. Northwest – The Stars here increase the chance for fire related accidents. Fire is unsupportive of the NW so you may find that if you reach out to others for help in some way they either won’t be there to take your call or won’t be receptive. You’ll definitely want to put your Flying Star remedy here for the month because fire energy in the NW is considered bad luck. North – This is another area where the Flying Stars’ energy will be particularly strong because the north is the career area in feng shui and the Star combination brings obstacles to career and finances. In fact, the Stars in the north counter act the Flying Stars in the Center gua which means that if you don’t activate the Center area of your home with your Flying Star activation and neutralize the Stars in the north these energies will tend to neutralize each other. If you don’t need any career or money help this month then don’t bother to activate the Center and North areas of your home with feng shui. If you do want career help and support for your finances then be sure to activate them. Northeast – This is another area that is prone to fire related accidents so be careful if your kitchen is in the NE area of your home. On the plus side, this area is good for relationships and connecting with other people, particularly family members. If you want to strengthen your relationship with anyone in your family this is a good area to activate with you feng shui this month. You can get all of your June Flying Star activations and remedies by clicking here. Enjoy the start of your summer! I know, I know. This post is late. That’s what happens when school starts, my schedule is packed and the only time left is for sleep. You’re probably in the same boat. This is one of those tricky months where the Flying Star influences are more challenging than helpful. Whenever months like this come up just remember that this is a good time for you to learn something, especially if the challenging Flying Stars are on one of your personal best directions. September’s ‘theme’ is indicated by the Flying Stars sitting in the Center gua (the middle of the tic-tac-toe symbol) and this month’s focus is travel, and is especially beneficial if you’re a traveling salesman. Be careful if you have a kitchen in the center of your home, though, as you’re more prone to cuts and injuries with sharp objects now. The Stars in the southeast are good for sudden fame or recognition so if you’ve been working hard at something you may find that people suddenly show up to give you an attaboy or thank you for your work. Because of the Star combination here this month you could also find yourself burning through money faster than usual. The south is a really difficult direction this month so avoid sleeping in a south bedroom or working in a south office if possible. This area is prone to health problems and events that could negatively impact health. The southwest can bring marital problems. If you and your spouse or even a business partner have not been getting along you may decide to split this month. Because the Stars in the Center gua encourage marital affairs this month you may hear of someone you know getting caught having an affair and, as a result, end up divorcing their spouse. The east are brings about the desire for gambling and speculation. If you don’t have the money to lose, don’t gamble. Since the east is tied to family a family member may appear asking for an investment in a ‘deal that just can’t lose.’ You’d be smart to decline the offer. The west is prone to disagreements, bickering and jealousy. If you have children or work with children you’ll find they have a harder time getting along this month. 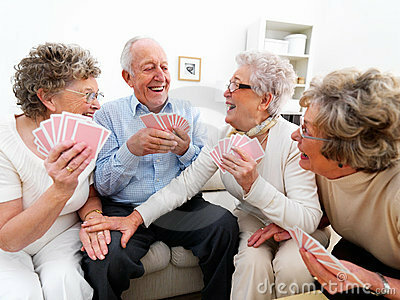 Focus on humor because laughter is truly the best medicine for the Flying Stars sitting here. If you’re a writer or a student the best place to study is in the northeast. 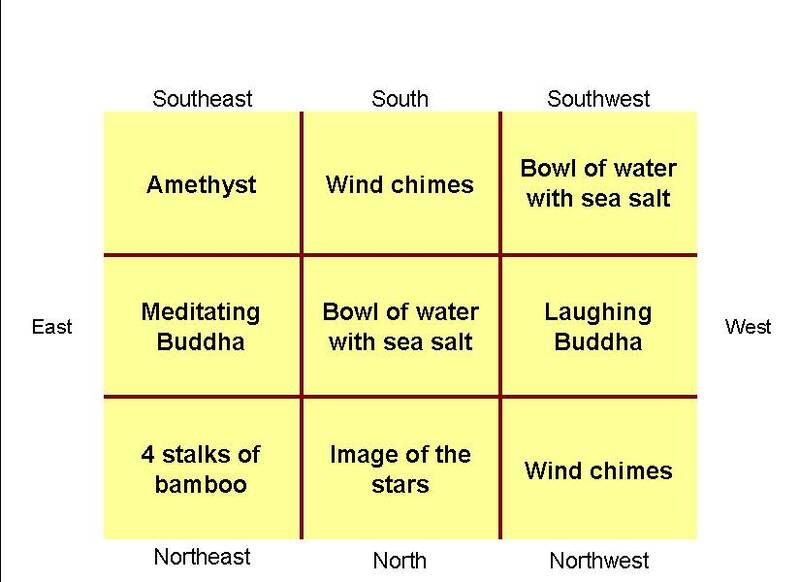 The northeast also happens to be the direction for eduction, wisdom and learning so between the Flying Stars and the feng shui energy of this gua you can’t lose! The north is troublesome for teenagers and can bring head injuries. Try to avoid this area if possible. And finally, the northwest is great for real estate. If you’re selling a house or you’re in real estate put your contracts here and set your intention for what you want to happen with them. To receive my Flying Star Feng Shui blog articles automatically, subscribe here. When I was a kid growing up in Oklahoma the sound of the tornado siren going off would send shivers up my spine. I used to dread going down into the dark, cramped tornado shelter behind our house with my parents and my sister. It always scared the living daylights out of me sitting in that dank, dark hole that smelled of mold from lack of use. To this day the sound of a weather siren gives me the creeps. All of the tornadic destruction created in the past couple of weeks brings back memories of climbing down into the storm shelter and I can only image how the people in Tuscaloosa, Alabama and other devastated parts of the country are feeling right now. Perhaps the worst part is that tornado season hasn’t even kicked in yet and I’m sure these poor folkes are wondering if there is more harsh weather to come. One tornado website I went to says that in April alone there were 871 tornadoes which is about 5 times more that the average. Historically, May and June have the most tornadoes (about 300 each month) and if that holds true again this year then 2011 will set a record as the year with the most tornadoes in history. But it’s not just tornadoes that are causing problems. It’s also earthquakes, flooding, tsunamis and the damage caused by high winds like the Santa Anna winds that took out power in the Los Angeles area just today. So why is all this catastrophic activity taking place? 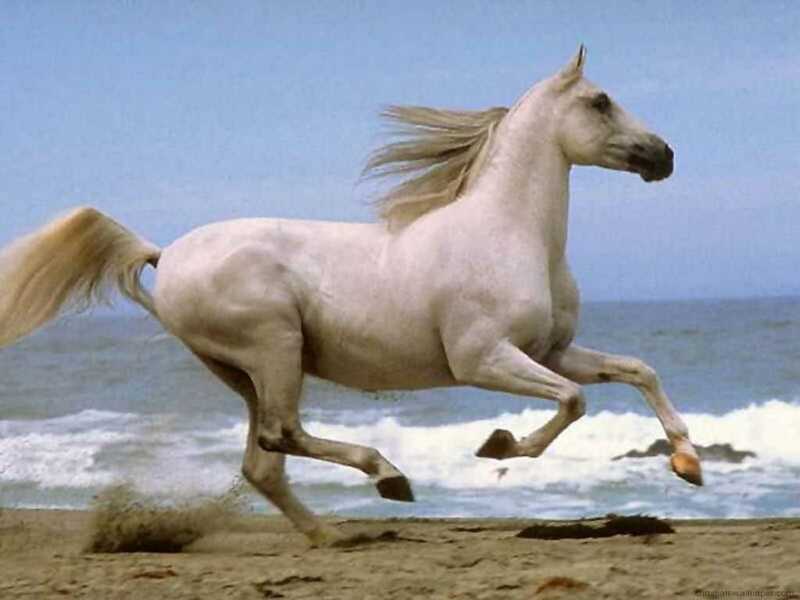 In energetic terms wind represents mental energy while water represents emotional energy. With the economic collapse of families across the globe there are a lot of people emotionally stressed out and angry and some leaders in the spiritual community believe that these energies are being cleared out on a global level through tornadoes, flooding, tsunamis and earthquakes. Looking at the Flying Star Feng Shui for the year the energetic ‘theme’ is tied to the Star that sits in the center gua and this year that Star is the Violence Star. The Violence Star not only brings catastrophic events (voilent political uprising, increase in weapon related events like war and robbery, weather disasters) but it also brings financial loss. That’s what this Star is bringing to the world in 2011. The cost of rebuilding communities, replacing governments, upgrading construction codes and starting over comes with a hefty price tag. The I-Ching symbol for the west, which is the direction associated with the number 7 Violence Star, means ‘destruction’ and represents mist. Because the after effects of the storms, flooding, tsunami and political fighting have people saying, “It’s worse than we could have ever imagined,” the number 7 Star is playing out it’s role exactly as described in the I-Ching: destruction hiding in the mist. Someone asked me yesterday if the worst is over and I hope it is, but looking at the montly Stars coming up to sit with the yearly Violence Star I doubt it. Looking ahead to May 2011 and January 2012 it appears that more global upheaval is yet to come. If you’re feeling the negative effects of the 2011 Flying Stars rather than the positive effects make sure that you have your feng shui remedies and activations in place. You can find them here in my book Flying Star Feng Shui 2011 along with your personal Flying Star feng shui outlook for the year. It’s almost November and the new Stars fly in on the 7th! Below is the Flying Star Feng Shui outlook for the coming month. Northeast – This month the Illness Star and the Disaster Star sit together in the area of feng shui that’s tied to Wisdom and Education. This means we could see more news about cuts to education, lack of funds for scholarships, teacher strikes popping up and even school closures (elementary, middle, high school and colleges) all because of the energy of these Stars. If your bedroom is in the Northeast area of your home you’re more prone to catching whatever bug is floating around the office or at school (if you’re a student). Be sure to use your feng shui activations/remedies here. If you have a serious illness or are pregnant it’s best to find another room to sleep in this month. North – The energy of the Flying Stars sitting in the north create a perfect scenario for an affair. It’s also very likely that if you’re having an affair with someone at the office you’re going to get caught and there’s an excellent chance your spouse is going to want a divorce. Since reconcilliation isn’t in the Stars right now you’d better be sure what you’re doing is worth it. Northwest – This area is susceptible to accidental fires so if your kitchen is in the NW area of your home double check to make sure you’ve turned off the stove, coffee pot and other appliances after you’ve used them. If your bathroom is here be sure to unplug the curling iron and hair dryer before going to work or school. On the upside it’s possible you could get a bonus or raise from your boss or a financial windfall from someone you look to as a mentor. East – This area is challenging for families and government because the two Flying Stars sitting here like to create conflict. Don’t be surprised if you hear about election lawsuits (even though the elections take place before these Stars get together) and government gridlock in some places because of the election results on November 2nd. Families are more prone to disagreements this month, especially those families with young men. If you have a son he may be disagreeable this month even if he’s normally not that way. It’s just the Stars making waves and things will be better next month. Center – The Star combination here can be good for real estate but it just doesn’t feel beneficial right now. My outlook is that the real estate markets will continue to be weak in general and cash flow in this area will be anemic. West – Well, finally! A direction with some good Stars in it. This is a fabulous area for academic success and creativity. Have your children study in the west area of your home this month if possible. If not, have them sit so they’re facing west when they do their homework. If you’re an artist (writer, painter, musician, sculptor, etc.) the west is a great area of your home/studio to get really creative and produce some amazing work. You will very likely surprise yourself! 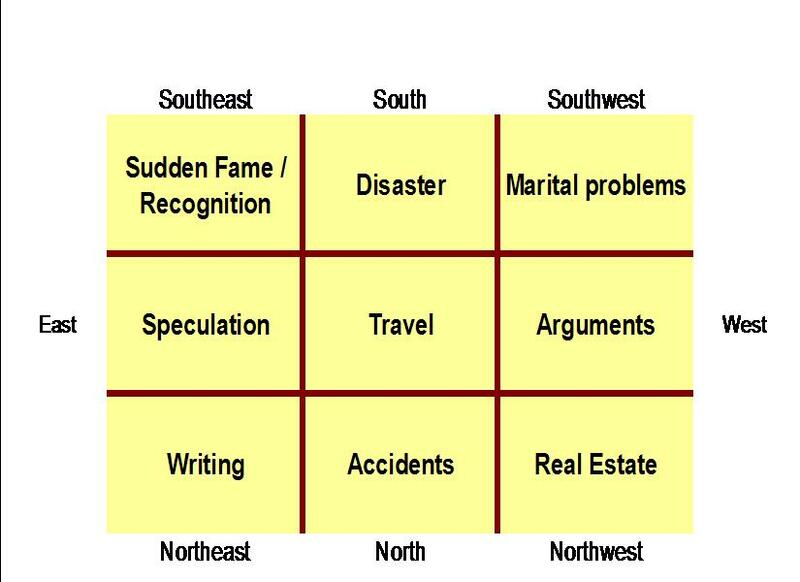 Southwest – The Flying Stars in the SW are likely to create real estate gridlock. We know about the foreclosure paperwork problems but more information is likely to come out about just how bad it is and how the reach of the problem extends into other areas no one had considered or wanted to talk about yet. Do not buy a home right now and don’t sign any real estate contracts. You are very likely to regret it. 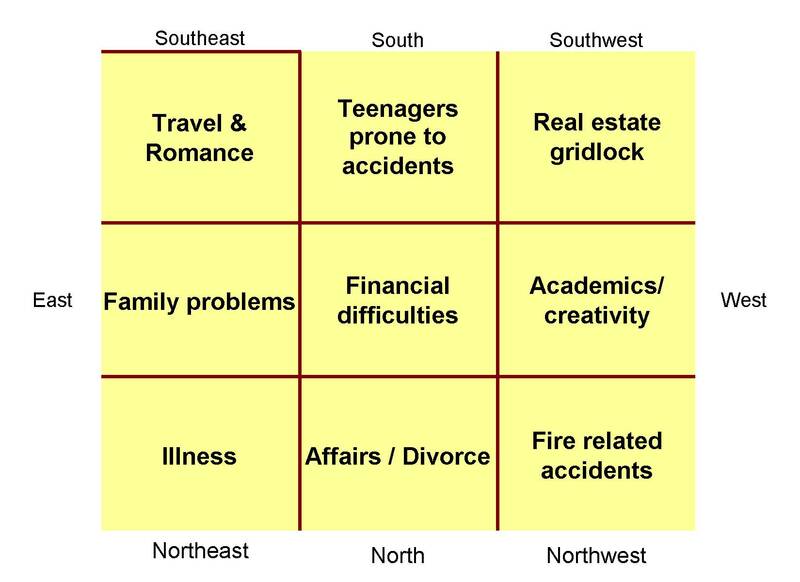 South – Teenagers are more likely to have accidents this month due to the Stars in the south. If you have a teenager at home make sure they buckle up in the car, wear protective gear when riding bikes, skateboards, roller blades, etc. A little safety can make the difference. Southeast – This is another good area this month. In fact if you’ve been thinking about taking a romantic weekend away this is a great month to do it. Travel and romance are in the Stars this month!